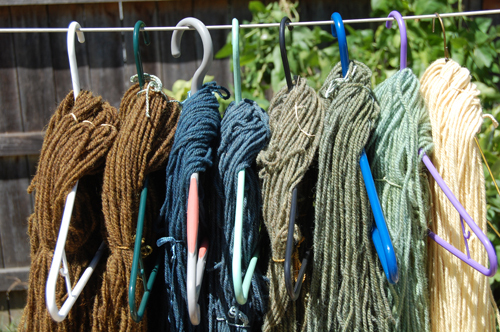 When I first tried growing my own dye plants identification was difficult. As I’ve written about previously I had my Weld confused for Woad until some kind person pointed this out and we ended up swapping seeds. 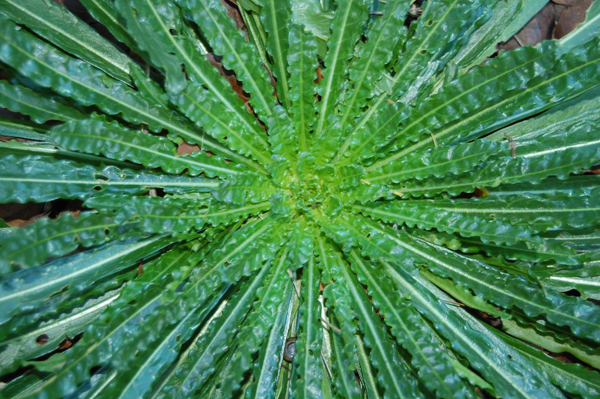 A google image search on Woad or Weld plants usually gets flowering – i.e adult – plants. 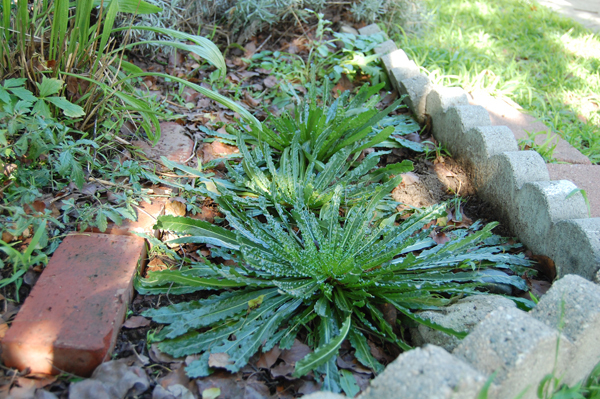 Images of young Woad or Weld plants seemed rare so I’m trying to document my plants as I grow them. Woad and Weld. (Sorry, I now realize that I should have photographed these with a ruler or something to indicate size.) 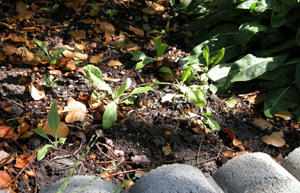 Till you see them over a few plantings they look pretty much alike. 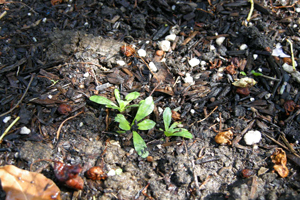 The Woad plant about a month later. 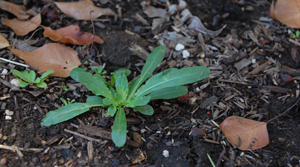 The Woad about four months later. 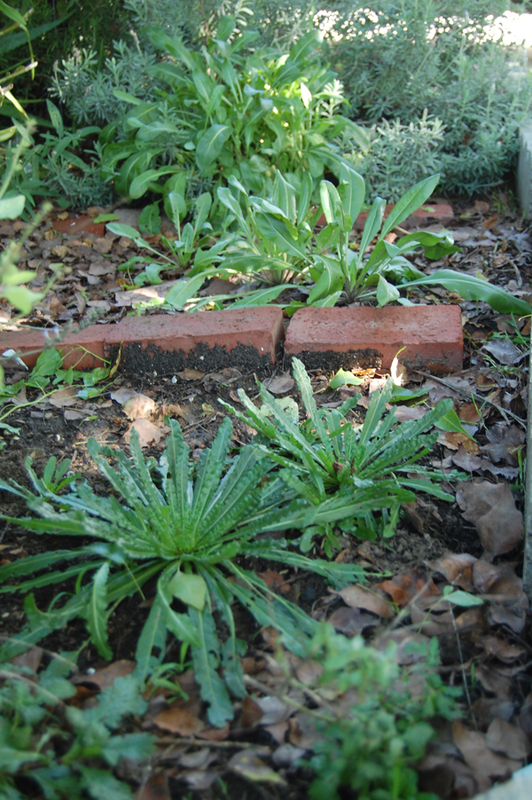 These are still youngish plants but now easier to tell apart. And here is the Weld, shot at the same time. At this point they finally look different. If it helps any here are closer shots of the leaves. Weld first and then Woad. Detail, looking down into the Weld plant. 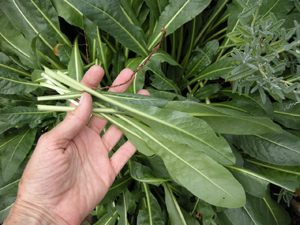 Woad leaves I had cut for processing.